‘Swimming’ is an honest and immaculately arranged look at what it means to try and fail, and to love your failures more than yourself. That’s what Loaded Lux wanted to know in 2013 when Miller released his sophomore album, Watching Movies with the Sound Off. Between 12 mixtapes and now five studio albums, we’ve discovered that Miller is nothing if not a rapper in the pursuit of forms. Across his four preceding albums, he has explored the shapes of youth, addiction, love, and always a permeating wave of depression and deep-seated fear of the unknown. On his fifth studio album, Swimming, Mac Miller is once again exploring himself and the ires of addiction, heartache, depression, and a vexed disregard for his own life. He is in his pocket, so to say. 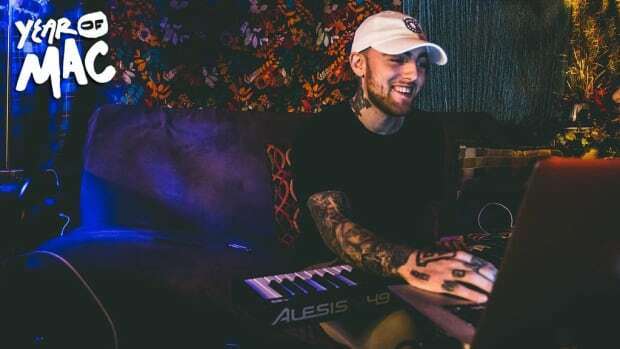 But amidst these well-worn and welcome themes, Mac Miller is also exploring what it means to find and fight for peace of mind. Unlike older projects like Watching Movies and Faces, where Miller is overwhelmed by sadness to the point of general inaction and simple reporting, on Swimming, he&apos;s got the fight in him. Yet, Swimming is no action movie. It is an honest look at what it means to try and fail and try and fail and to be more in love with your failures than your well-being. “Life is mostly lived by timid bodies at home,” writes essayist Adam Gopnik, and with this album, Mac Miller is opening his home to us. With Swimming, Miller is coming to terms with his greatest struggle: a desire to feel better and an impetus to implode. This is why the record is called Swimming, after all, since to swim is nothing more than to actively stop yourself from drowning. 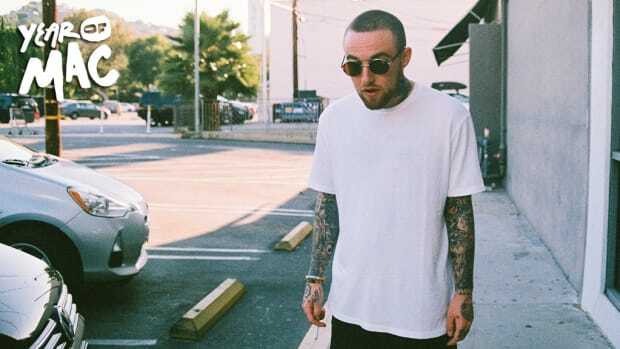 Tackling everything from addiction to isolation to the pitfalls of celebrity, we’re reminded that it’s been a long time since Mac Miller has had the Best Day Ever, but such is the necessity of being alive long enough to see your dreams come true. Miller says as much on the tear-jerking penultimate track “2009,” singing, “You gotta jump in to swim,” read as: the only way to live life is to feel through it. Miller’s version of feeling through it comes by way of crafting immaculate music. Swimming’s heavenly arrangement has it sounding closer to a feature film score; think Disney movie but if we only got the negative reel. “Hurt Feelings” and third single “What’s the Use?” both revel in funky overtones and skating flows, but the content belies something far more sinister. These moments of cognitive dissonance are resolved in part with stormy beat switches, the crackle of “Wings,” and a peppering of vocal pitches, but more often than not, Swimming relies on the bait-and-switch of gorgeous sonics and downtrodden themes to make us think. In 2013, Miller sang: “You hurt so good.” In 2018, his album is nothing if not stunning pain music. With that, Mac Miller’s heart is in the album’s arrangement. Momentum and motif are handled firstly by cascading keys and soaring strings, second comes the writing, and following close behind is the vocal performance. That is to say, the album is in the throes of a great tension and internal strife, and listeners are fiending for his resolution: his exhale. But Miller does not breathe out on Swimming. Instead, he allows the instrumental to do the work of building and easing through grand swells. The album does not necessarily suffer from a lack of features or the proverbial banger, but there are moments where Swimming is decidedly on the cusp of release and never makes the leap forward. “Conversation” becomes a pain point simply because the springy delivery leads us to believe Mac is gearing up to blow off the steam built up across the eight preceding cuts, but as we know, the exhale never comes. In the context of the record, that may well be his truth (“I get more peace at slow speeds,” he raps on “Small Worlds”), but the truth still has the capacity to play as disconcerting. 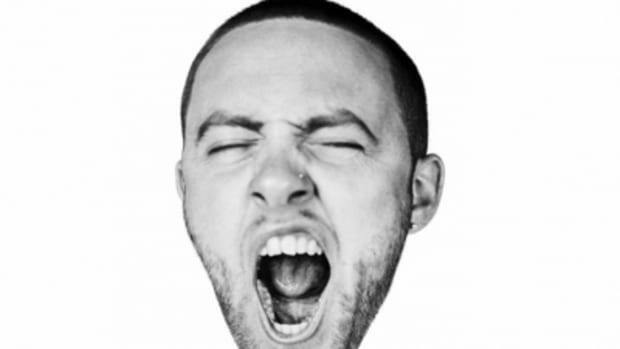 By contrast, recall 2015’s GO:OD AM, and the superb job “When In Rome” does of resetting the pacing of the album before leading us into “ROS,” a stunning piano ballad. These are the overt vocal ebbs and flows from which Swimming steers away. The record deals in cool colors and the pacing is the closest we get to heat, allowing his emotions to stew and swirl just as well as they spiral down the ocean rift. A lot of the emotion on the album is thusly submerged. On “Perfecto” and “Small Worlds,” Miller is aptly fed up with himself and his neurotic tendencies, while in the same breath he’s trying to talk himself off an anxious cliff. Consequently, the raps are inspired by the notion of understatement. Mac’s cadence boasts a coaxing haze. His bubbly and brusk soul has not become jagged, but rather aged like good, cheap Cutty Sark. During an interview with Zane Lowe, Miller said that his intention was to concoct a sound that mimics the feeling of being within a speaker, but the effect of Swimming is far more sophisticated. 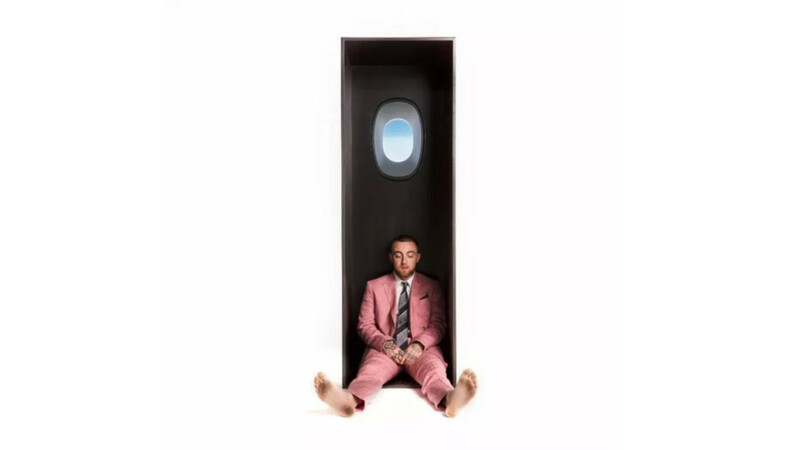 Much of the album sounds like Mac Miller pacing in tight circles in a room of his own making; think Virginia Woolf’s A Room of One&apos;s Own, but with a lot more bass and creative freedom. 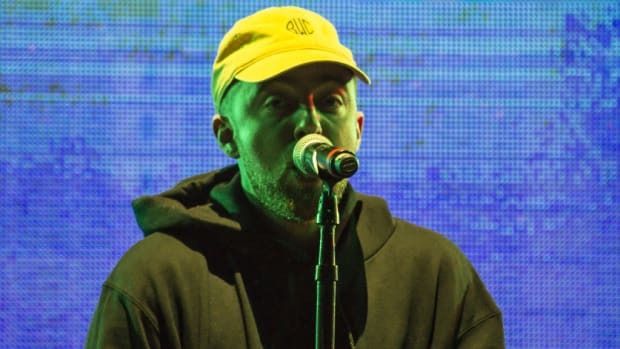 Each bar on Swimming is like another turning gear, and though most every Mac Miller project has given us detailed looks at his psyche, none have been as microcosmic and gratifying as Swimming, not even Faces. 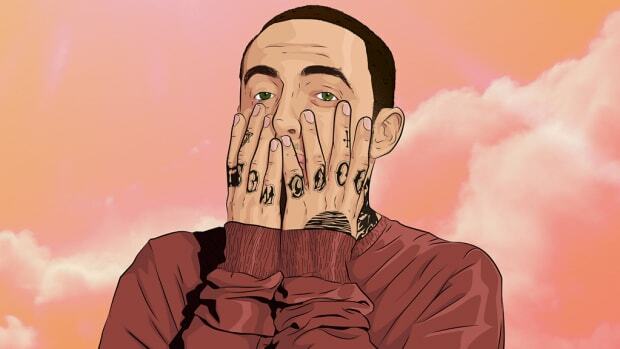 While every Mac Miller project is both endowed and plagued by sprawl, Swimming takes the of-the-moment cues of 2016’s The Divine Feminine and applies them to his most compelling subject matter. The result is one of the most rewarding listens Mac Miller has ever produced. And where does that leave us? Closing track “So It Goes” does not provide the warmth and relief of washing up on land. 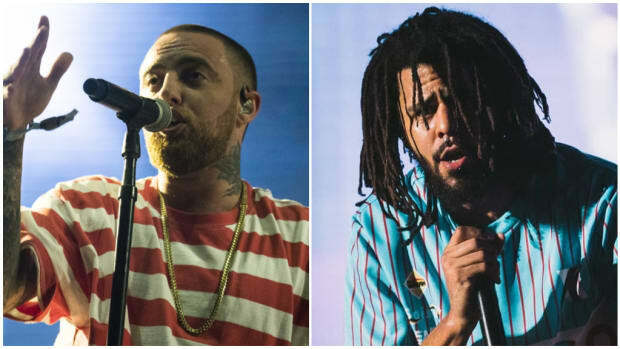 Rather, the record sounds like a signal that we are simply crawling deeper into whatever sunken speaker Mac Miller sought to occupy. The emotions of the record remain taut and the astringent percussion on “So It Goes” is proof of that. 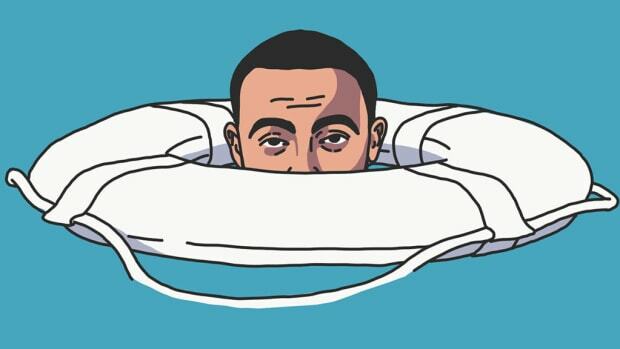 If nothing else, Swimming is Mac Miller’s personal reckoning. We are supposed to come away from this album with the notion that Mac Miller has found peace. Finally. He even memes himself to that point. In truth, Swimming is a testament to how asymptotic our emotional pursuits remain. There is no cure-all for depression, addiction, anxiety, and the like. There is only the truth that every day we have the opportunity to take another positive step forward in a series of endless steps. We can let that prospect empower us, help us float. Or, we can be deadened by the repetitiveness of it all, and drown. Or, we can do as Mac Miller does, and be honest with ourselves, and swim. The duality and conflict on this single represents the thesis of the album: that battle between saving yourself and letting the end wash over you. 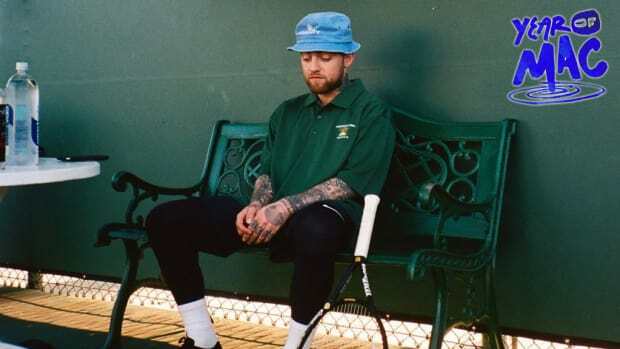 With an apt beat switch to illustrate the dichotomy of tension and submission, “Self Care” is a testament to Mac Miller’s refined focus. With a spacey, winding, and inspired groove, “Ladders” is the sonic manifestation of tumbling ever further down into the ocean’s abyssal plain. This is Mac Miller’s confessional moment, his admittance that making mistakes feels too good, even if the euphoria is short lived. On “Ladders,” Miller attempts to face himself, but his temptations remain a scotch too loud. Ushered in by a heavenly string and piano arrangement, “2009” is a heavy personal reckoning that goes beyond Miller simply wishing he were a kid again. As the penultimate song, “2009” carries the bittersweet tone of accepting the present and passage of time, and that you have no choice in time’s march forward. It’s a humbling and bare moment for Mac, a career highlight for him.